Self-closing gate closes up against pallet loaded on to the mezzanine. 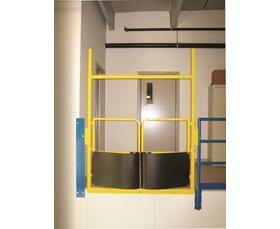 Keeps employees away from mezzanine edge while unloading/loading pallet. 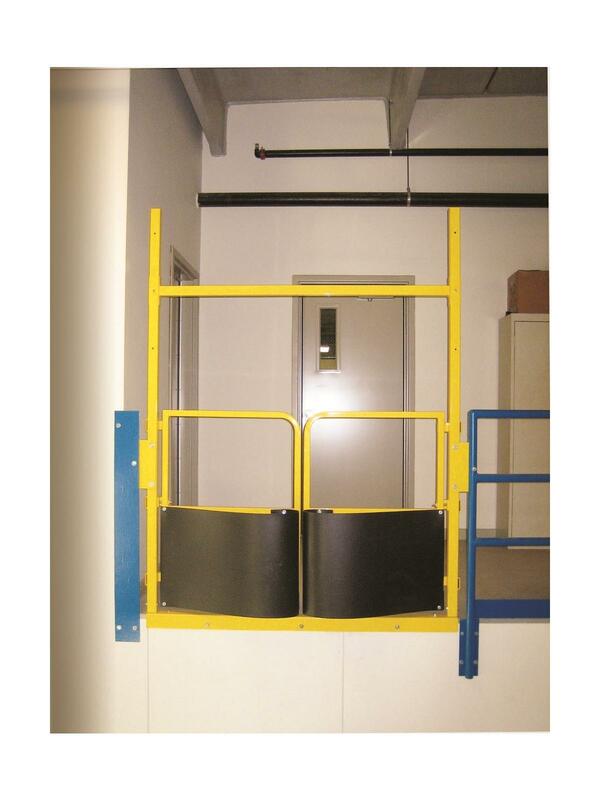 When not in use the pallet gate acts as a safety rail. Includes black ABS teardrop impact bumpers. Finished surfaces powder coated safety yellow. FOB Shipping Point.